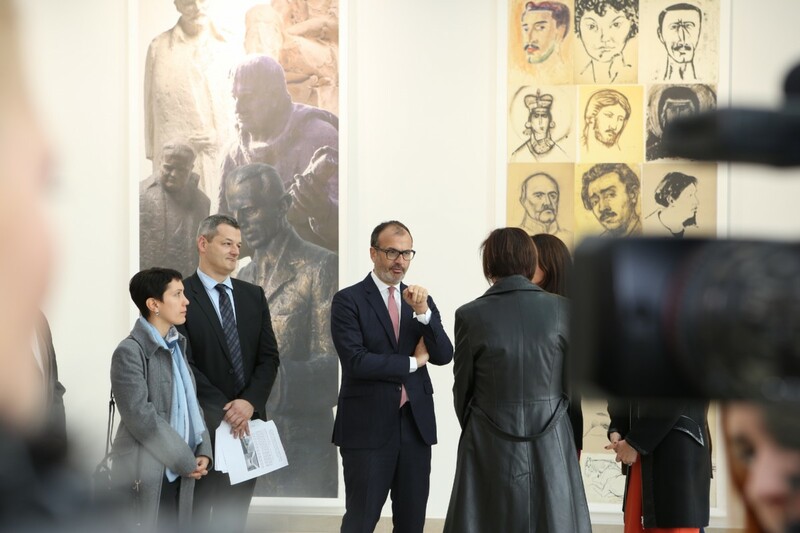 “The European Union provides continued support for local development and has so far invested 300 million Euros, whereby the funding of economic infrastructure development will enable the improvement of the overall business environment in Serbia, at the same time attracting investments and improving the lives of citizens” said the Head of the Delegation of the European Union (EU) to Serbia, Ambassador Sem Fabrizi, in Kragujevac today. 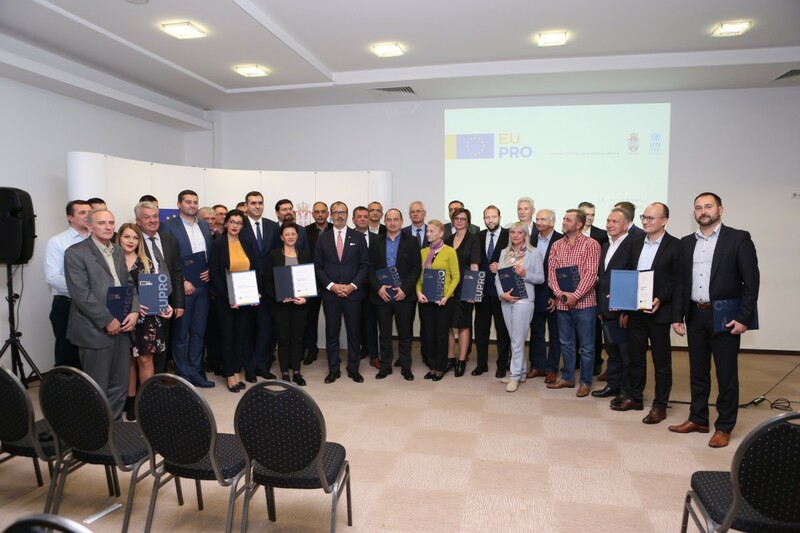 He congratulated the representatives of 34 local self-governments to whom a total of 40 projects have been approved through the EU PRO development programme. 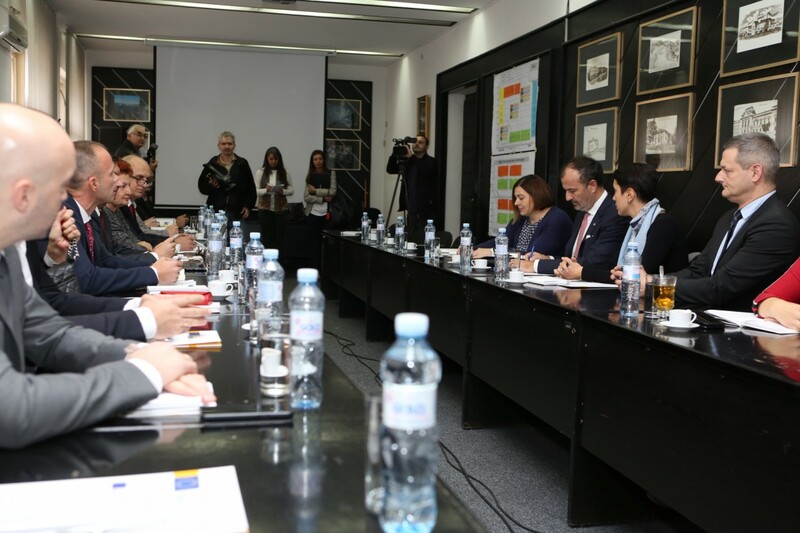 The local self-governments will, therefore, implement twelve projects pertaining to the development of project technical documentation, 19 projects involving the formulation of planning documents and nine economic infrastructure projects, to contribute to the creation of conditions for improving economic activities and attracting investments. 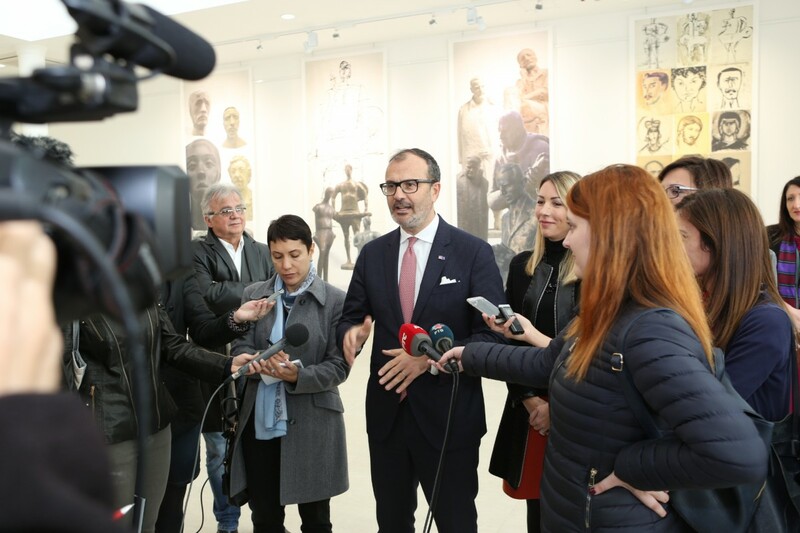 Ambassador Fabrizi especially congratulated the staff of the local administrations who put so much knowledge and effort into the preparation of excellent projects, and the mayors who provided political leadership and vision. 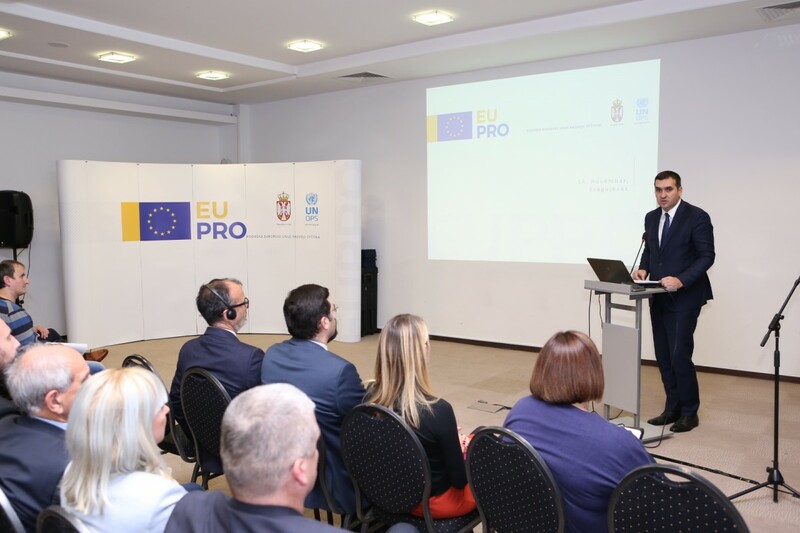 The Head of the EU Delegation also emphasised that local self-governments are important partners in the European integration process, as more than 70 percent of the EU legislation is implemented at the local level, which is why local self-governments and local communities should be included in the EU accession process. 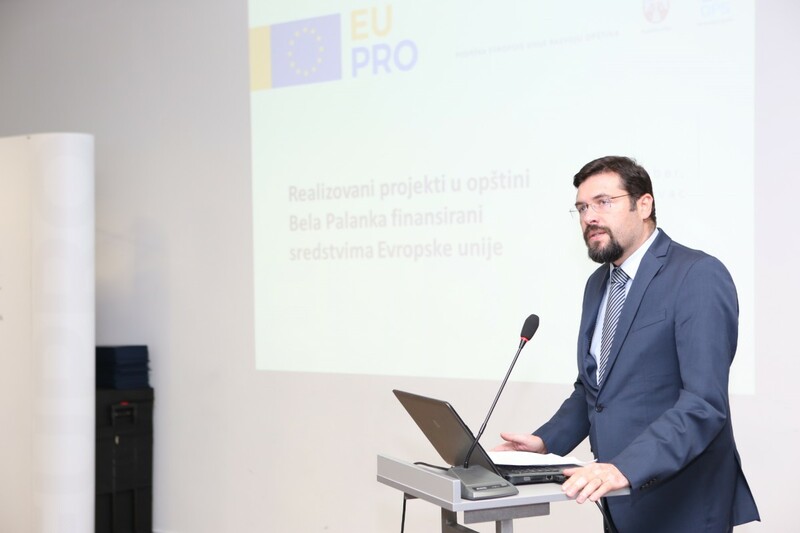 “The Ministry of European Integration supports the realisation of this Programme as its implementation ensures the sustainable development of local self-governments, with a reduction of local disparities and the continued capacity strengthening of cities and municipalities to use the European funds,” said Branko Budimir, Assistant Minister of European Integration of the Serbian Government. He added that support for business environment improvement is an essential factor in the overall progress of the local self-governments. 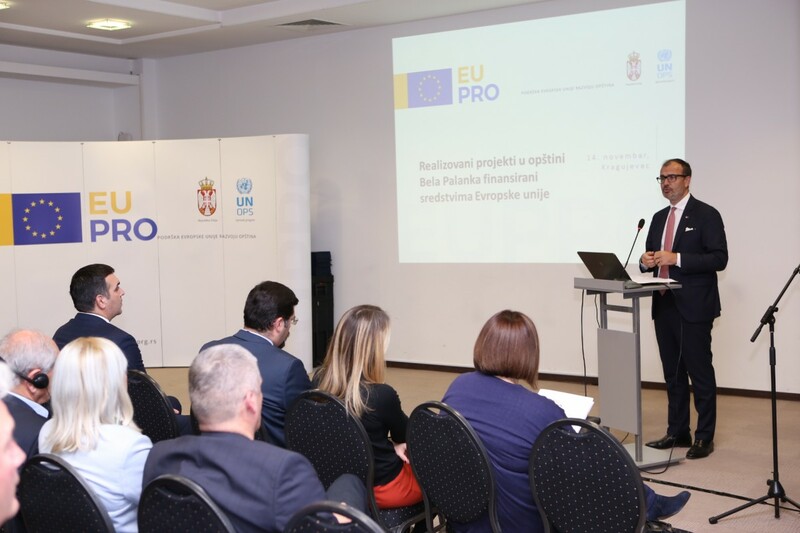 In the coming period, there will be activities involving the development of similar programmes, with a view to obtaining support from development partners, one of which is the EU, for the implementation of those programmes.